As one of the top professional hockey players in North America, Andrew Ladd’s passion for the game is matched only by his passion for improving the lives of others. To give back to communities in the United States and Canada, Andrew and his wife Brandy formed the Ladd Foundation. 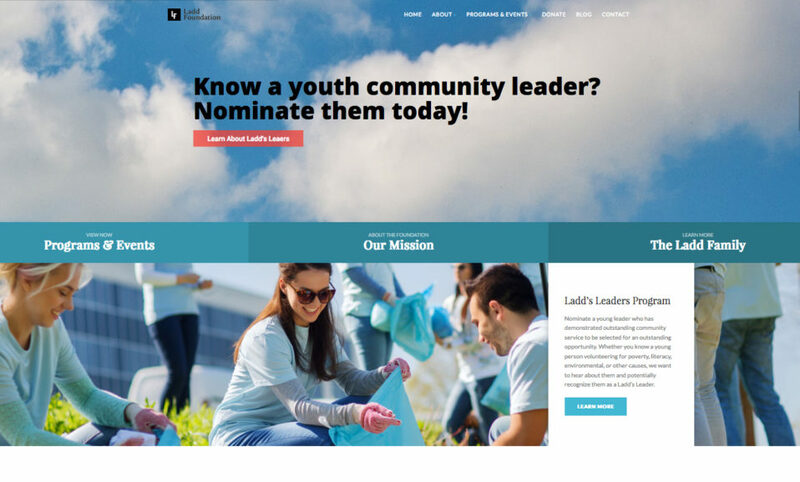 This week, the Foundation kicks off its new website, showcasing the goals and accomplishments of this new non-profit, as well as upcoming charity events. Through the Ladd Foundation, Andrew and his wife Brandy strive to offer experiences and support to those causes that have affected their family and friends. Originally from British Columbia and Alberta, respectively, this couple holds a long history of community engagement and a demonstrated commitment to service. When the Ladds give, they give in a big, meaningful way. Leadership and character are terms often describing Andrew, a two-time Stanley Cup winner. As former Captain of the Winnipeg Jets and the Atlanta Thrashers, Andrew demonstrated the leadership qualities and values he proudly espouses. Andrew has long supported disadvantaged children and is a strong advocate for Special Olympics. Having been raised alongside intellectually and physically disabled foster siblings and family members, he grew to appreciate the uniqueness and strength of these individuals. Through the Ladd Foundation, the Ladds want to help others and to instill a sense of service in their own children. The Ladd Foundation supports a broad range of causes, namely focused on youth and the environment. The organization is especially aware of issues impacting the health and wellbeing of young people, such as disabilities, illness, mental health and poverty. Our goal is to give individuals with limited opportunity access to new, exciting experiences, namely through sporting events. The Ladd’s hope is that participating individuals have a greater opportunity to experience joy, engage with others, and benefit for a lifetime.